We cannot be the only ones getting excited about Christmas as soon as it’s December, can we? Add visiting the capital of Spain to that and it’s definitely a happiness overload! Though quite cold, but sunny and bright, the crisp Madrid weather actually boosts the Christmas mood. Our suggestion – layer some warm clothes and go discover the city glowing with Christmas spirit! Spending Christmas in a different country can seem quite strange as it’s such a home celebration. But if you have your family or friends with you, it’s a magical experience! 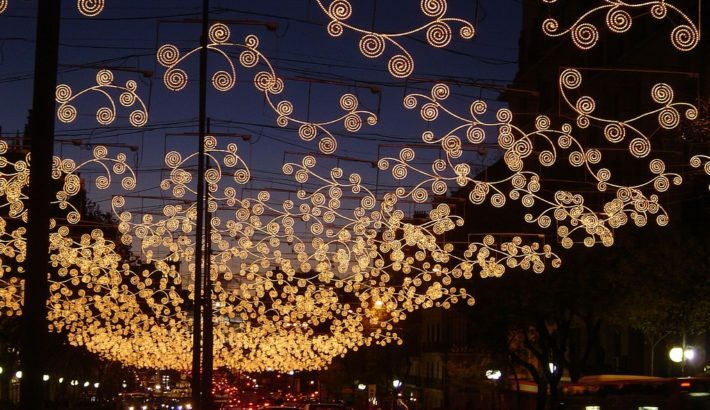 Especially if you are in Madrid – glowing decorations on every corner, usually different depending on the neighbourhood, Christmas light displays and Nativity scenes everywhere will make your vacation evening walks extra special. What’s more wintery than an open-air Ice Rink? There will be plenty of those in various locations of Madrid, so plan to have some fun skating in one of them! Marking Spain’s transition to becoming a constitutional monarchy and democracy, this day is a day off for the public. A Spanish public holiday might mean some of the stores and sights might be closed, but to mark the occasion, the Parliament will not only be open but also entrance-free! 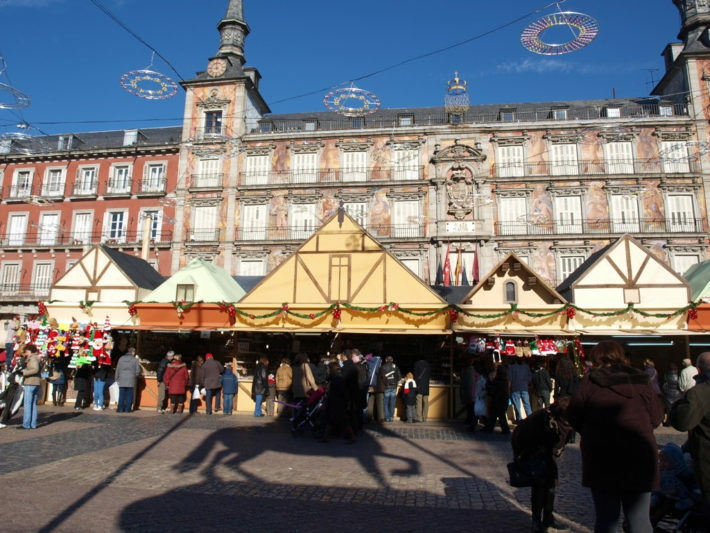 As most of the European cities, the capital of Spain also offers the cute Christmas themed markets. Head there for some handmade gifts, Spanish Christmas treats, crafts of Spanish artists and so on. The oldest and most popular one is at Plaza Mayor, though there will be many of them all over the city, so be sure to check out your neighbourhood for one! You will definitely want to warm up after taking a walk in the chilly Madrid weather. 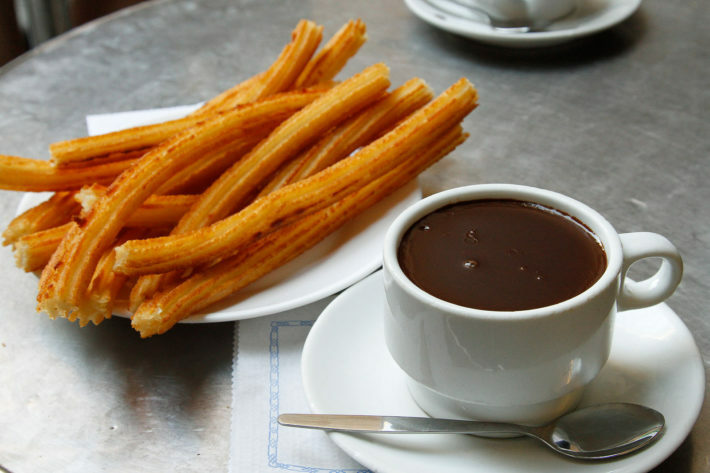 And what could be better than having the popular Churros con Chocolate – long dough sticks with hot thick chocolate to dip them in? Not much for sure. Visit the best place for that – Chocolateria San Ginés. The famous Chocolateria has been serving the Spanish treat since 1894 and is most likely the favorite place of both locals and tourists. Working 24 hours a day it is a popular spot for any true madrileño. However, if you are looking for traditional Spanish Christmas sweets, Feria Dulces de Navidad (Christmas Sweets Fair) is the right place for you. Located in front of the Royal Theater in Plaza Isabel, this Sweets Fair is a dream come true for all you sweet tooths! 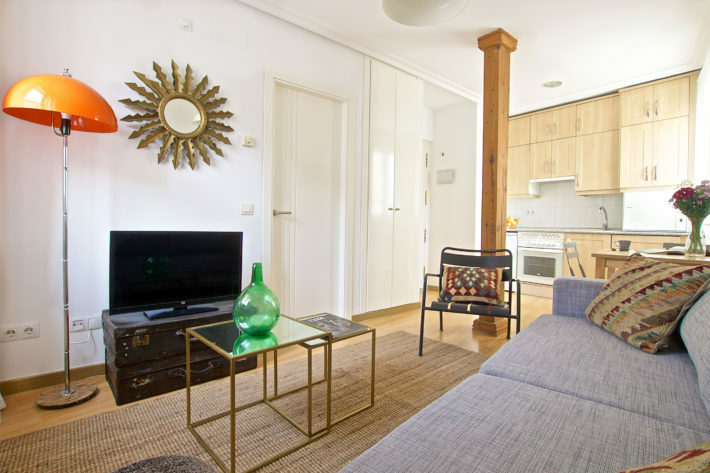 Looking for accommodation in Madrid for this perfect Christmas getaway? Our suggestion – Latina Gallery apartment in the heart of the city! This cozy apartment accommodates up to 4 people and can be the perfect place to rest and have a lovely dinner when it's crisp outside.